A bit of background from me — I’ve been working as a digital designer and developer (more on that later) for the past few years. I’ve also co-founded a nomadic branding agency called Jupiter and the Giraffe where I’m the creative lead. If you’d like to hear more about our nomadic adventures stay tuned at Tumbling Outwards. Zeplin is a tool that I first came across as a developer which really empowered me to build a pixel perfect design without having to second-guess the designer’s intentions. I still use it as a designer but from the other side — to enable developers to be able to confidently build my designs with the accurate specs alongside code snippets. You can also integrate it with Slack so that the team can be notified when there’s a design update or change. As I’m always working between design and development teams this really is a godsend. It’s the ultimate collaboration tool and speaking first-hand with developers they agree with me. You only get one project on the free plan which is great if you’ve only one project on the go but if you have multiple projects – you’ll need to pay for a subscription. 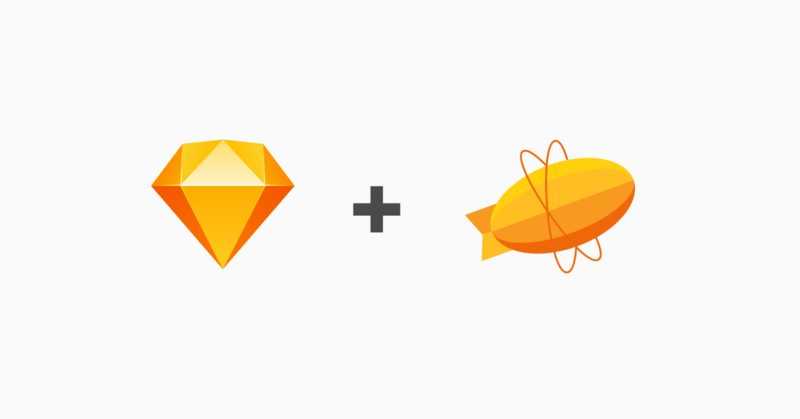 Zeplin integrates not only with Sketch but Adobe Photoshop, XD and Figma. If you’re working with websites or apps, start using this now! Stark is a plugin I use for every project for checking that my designs are accessible and inclusive to all. 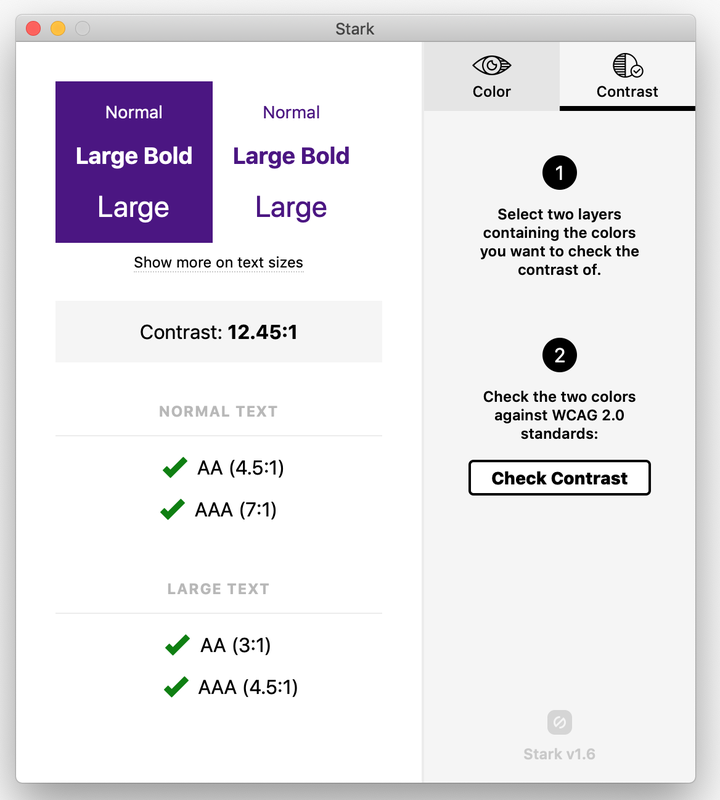 It works by checking accessibility and contrast levels in line with AA and AAA WCAG (web content accessibility guidelines). Another cool feature is that you can imitate different types of colour blindness within your document allowing you to imagine your design through another perspective. I even tried this on a colleague of mine who is colourblind and it’s surprisingly accurate! I think it’s every designer’s responsibility to have their work accessible to all so this tool is a must for me. Angle is a super cool plugin for showcasing your design work. You can place your screens into various perspective mockups across many different devices. This looks great for presenting your work in your portfolio or for those Behance case studies. The plugin is free alongside fifty free mockups but you get over two hundred devices to add to your global sketch library in the paid version. I’ve used the Map Generator frequently in recent projects. 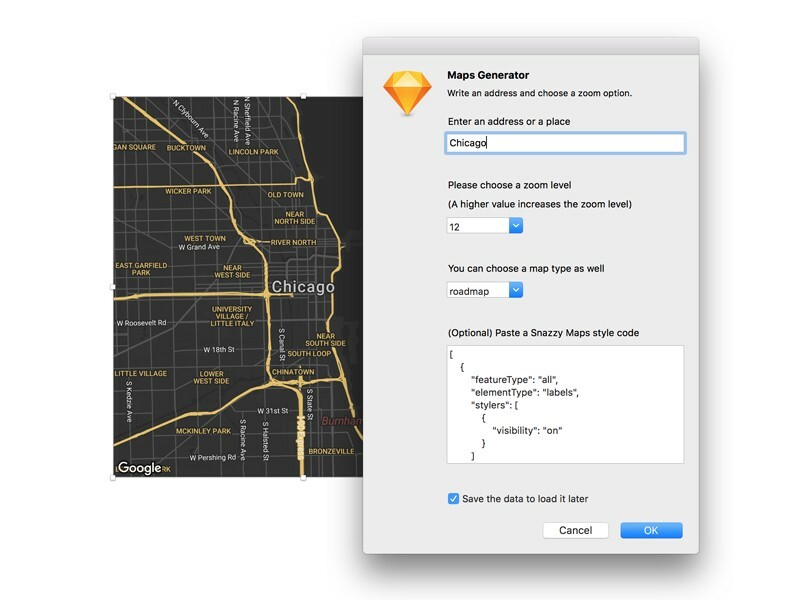 It allows you to design beautiful custom map interfaces with Google Maps & Mapbox simply and easily inside of sketch. It’s very useful and I’d highly recommend. It adds that personal touch to designs if you need to include the client’s location or store location. Fontily has come in useful on many occasions. It allows you to quickly find and replace fonts — as you would a variable in code. It lists all the fonts in the document and allows you to change selected ones. 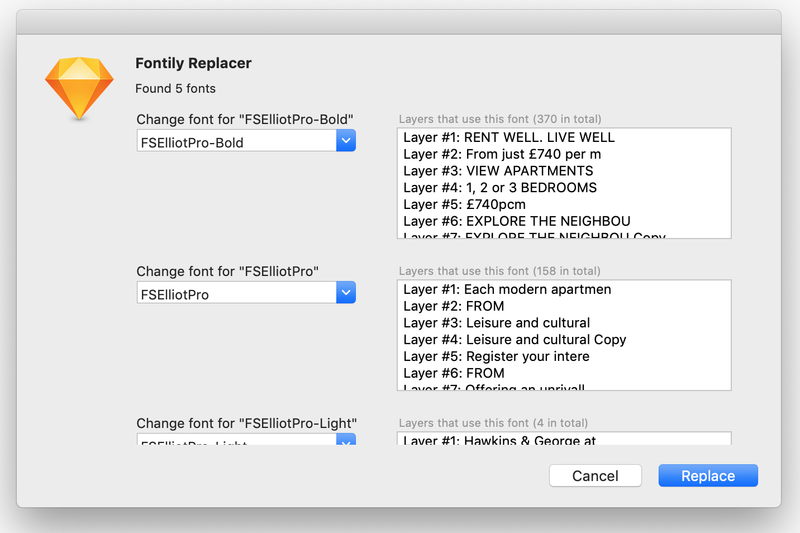 Change a font type and font weight and it will propagate out across your whole file. Magical. Great for experimenting quickly with different font sets across your entire designs and I think we’ve all been there where we’ve had to suddenly change a font stack. If this plugin wasn’t free it would’ve probably paid for itself several times over by now in the time it’s saved me. If you want to keep your artboards positioned neatly without having to think about it too much then this is the plugin for you. 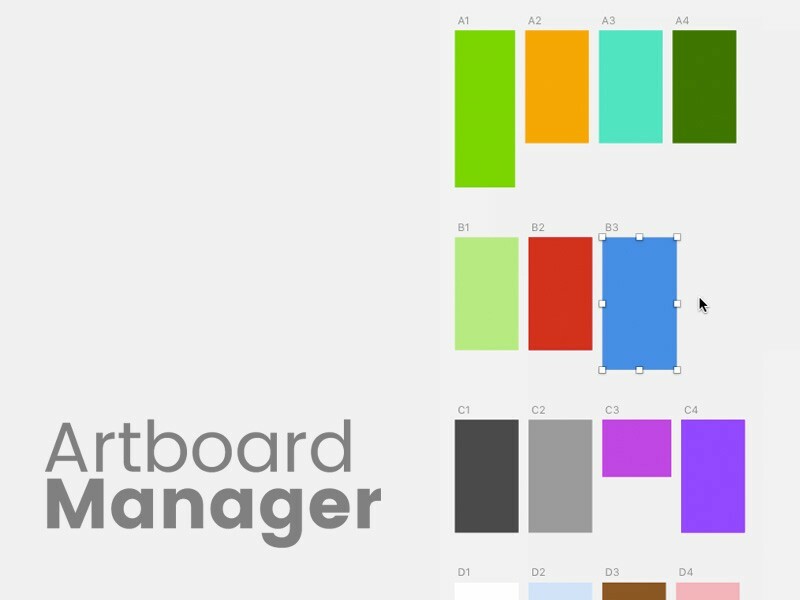 Artboard managerautomatically arranges the position of all your Artboards in your document, snapping them to rows & columns. Neat huh? 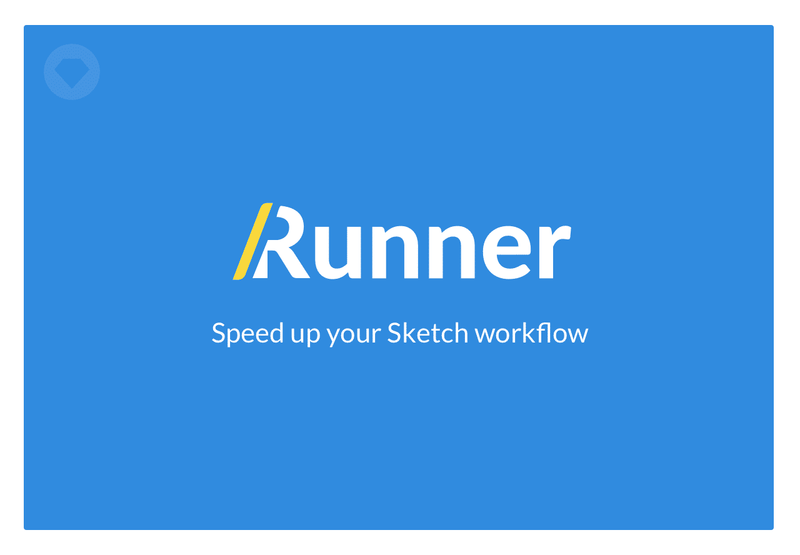 If you’re a keyboard shortcut fiend like me, Runner is an amazing plugin that allows you to run, install and manage plugins inside Sketch and run other Sketch commands from your keyboard. It’s Spotlight for Sketch if you like and a must have. 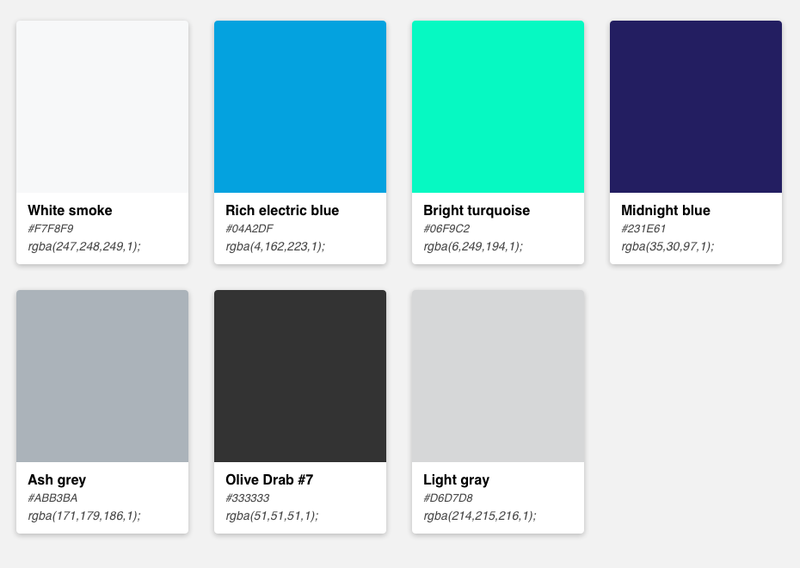 If you find yourself creating pattern libraries or brand guidelines regularly, Prism allows you to instantly generate a professional looking colour palette alongside the relevant hex and RGB codes based on your document colours. One limitation might be the style of the boxes is set and you don’t get control over how the colours are displayed but it does the job in a clean enough way that it’s never bothered me. Create beautiful tessellations and geometric patterns from duplicating shapes and groups in endless variations. Looper is so much fun and I could spend hours making these. Think spirograph for adults. If you’re a bit OCD when it comes to pixel dimensions being consistent and rounded up to integer points then Pixel Perfect is a lifesaver. It helps you find pixel imperfect layers in your document and then select them and round them up to the nearest integer (or whatever you prescribe). It’ll help keep your documents cleaner and keep your design specs uniform. So that’s all from me for now. I hope you’ve enjoyed this article and look out for my next one on design trends for 2019!